Kabataan party list condemned the arrest of almost 29,000 individuals, which allegedly include minors as of July 2018, following the mandate of President Rodrigo Duterte to get rid of people loitering in streets, especially at night. 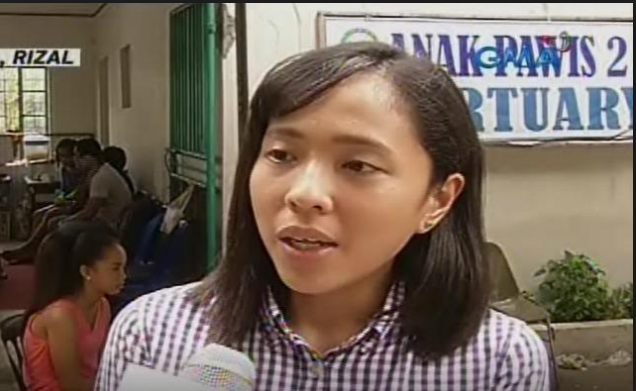 "No change of name can mask the already discredited PNP operation plan for what it is and has done thus far in criminalizing poverty by its crackdown on tambay," Kabataan Representative Sarah Elago said. "The move to go after ‘tambays’ on the mere suspicion that they are engaged in illegal activities sets a dangerous precedent to more human rights violations, and is akin to one of the tactics employed during Martial Law," she added. Meanwhile, Duterte, sometime in June hits back at his critics and clarified that there were no arrests made after he launched a crackdown on “tambays”. “Yung utos ko sa pulis na ‘yung mga tambay. Sundin lang ninyo ‘yung utos ko. Wala namang inaaresto,” Duterte in his speech during Certificate of Land Ownership Award in Cabatuan, Iloilo. The president said he did not want to see people loitering. “I just don’t want you using the streets to loiter,” he said. The Kabataan party list urged the Filipino people to strongly condemn such "anti-poor attacks" and to rise against these "continuous fascist schemes." The group also condemned the government on what happened to Genesis "Tisoy" Argoncillo, the 22-year-old, who was slain under the police custody. "The brutal actions of the police and military forces only show that there is no law better than a dictator’s words," Elago said. "It's only getting worse with the Makati City police' strip search of drug suspects as seen from a video that has emerged yesterday.” She said. "This is an outright violation of due process and rule of law, an unacceptable, and overkill exercise of police power," Elago said. National Capital Region Police Director Guillermo Eleazar on July 6, said that the supposed “strip search” conducted by Makati police is not acceptable despite their claims that it was just for a demo and the woman was paid for it. "Mali po talaga 'yun. Kung sakali man na meron mga demo, 'di naman ko kailangang hubuan po na ganon... Napakahalay nun (That was really wrong. If it's only a demo, there's no need to strip the woman... That's unacceptable)," he said. The viral video showed a naked woman bending over to a police officer as she undergoes the search, including a police woman who was laughing. According to Makati police, the woman was a guest relations officer and she was paid for a live demonstration seminar. It was also clarified that the woman was not a drug suspect as earlier reported. "Dini-degrade natin 'tong dignity ng ating kababaihan (We are degrading the women's dignity)," Eleazar said, refusing the explanation from the police officers involved. "whether drug suspect or not, hindi po dapat gawin 'yun." He added. On July 5, Philippine National Police (PNP) Chief Oscar Abayalde ordered the relief of four police offers involved in the strip search video. Senior Inspector Valmark Funelas, Police Officer (PO) 1 Stephanie Limhap, PO1 Heizelle Maramag, and PO1 Francis Intia were relieved from their posts for violating the standard police operational procedure. Meanwhile, a nationwide walkout joined by some students from different universities and colleges was held on July 6, Friday, urging the masses to join the fight against what they claim dictatorship and tyranny of president Duterte. The students marched from University of Santo Tomas to Mendiola to hold their program.